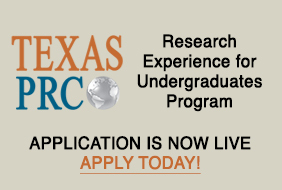 The Population Research Center at the University of Texas is offering a Research Experience for Undergraduates (REU) in 2019. Students will have the opportunity to work directly with faculty, policy analysts, and senior graduate students on issues related to race, ethnicity, and American families. Students will also participate in coursework, data analysis, training experiences in the ‘real’ world and the academy. The 2019 summer REU Program application deadline is March 4, 2019.